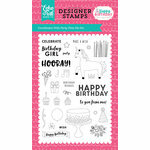 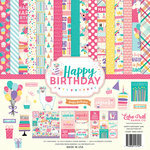 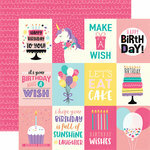 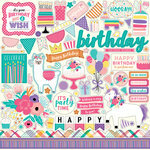 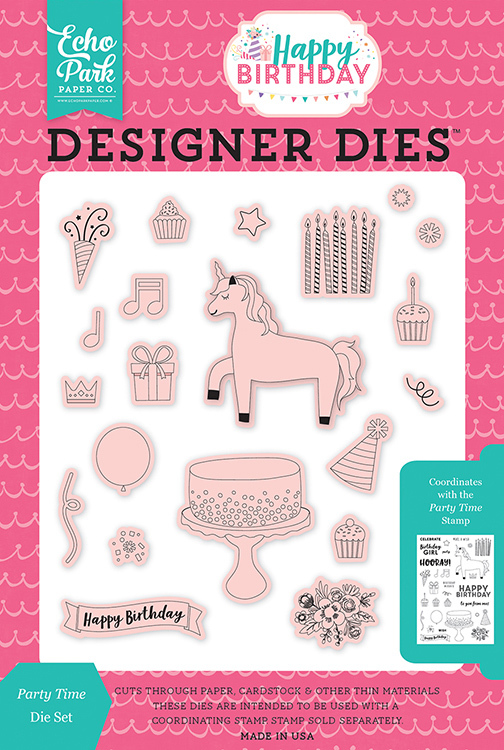 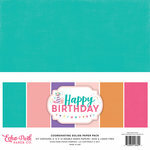 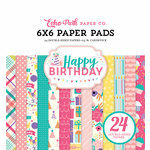 Keep it girly with your birthday celebration creations with the Party Time Designer Die Set from the Happy Birthday Girl Collection by Echo Park. 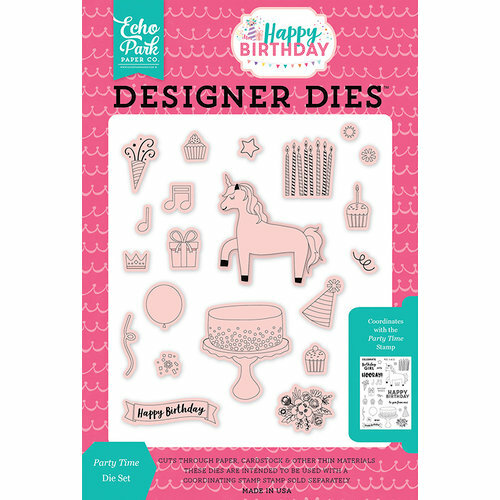 Included in this set are 21 thin metal dies that are made in the USA and are compatible with most die cutting machines sold separately. 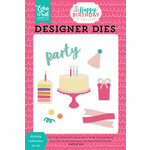 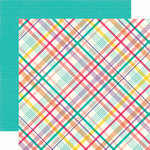 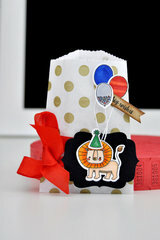 This set coordinates with the Party Time Stamp Set also sold separately.